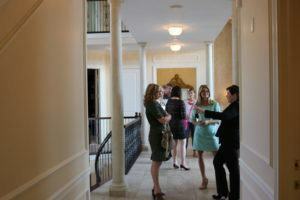 Why Buy Luxury Real Estate At Auction? 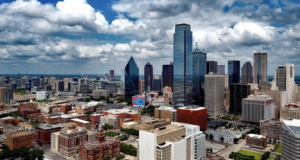 If Dallas and the Fort Worth Metroplex area are in your next move for business or family, you may just want to put roots down in the countryside suburban town of Burleson. Being near the city of Fort Worth in order to work but far enough to get away from the city life to relax and entertain. Here are the top five reasons to choose Burleson, Texas as an ideal location for you and your family. Although you want to live in a small-town, realistically, you need to be within a short commute to the city that you work in because you want to be with your family and enjoy a work-to-home balance. Burleson is just a short 20 minute drive to Fort Worth and an hour from downtown Dallas, so you can enjoy your free time, as well as a brief commute. With SAT and ACT scores higher than the state and national average, Burleson definitely places the education of children as a high priority. Old Town Burleson is a historical area that has recently been restored where you will experience first-class restaurants and shopping throughout the township that everyone will enjoy. Looking for entertainment for family of all ages? Old Town Burleson hosts the Hot Sounds of Summer Concerts and the Wine Crawl in November so you can kick up your heels and have a great time with your neighbors. Your land-dollar will go much further than expected in Burleson. This means that finding your dream home just got more affordable and being a growing city, your property values are sure to increase from day one. The added bonus to Burleson is that is has low crimes rates, as well as highly trained public safety teams and a dedicated municipal staff that takes very good care of its citizens. Burleson is home to more than 28 square miles of rolling hills, lakes and parks. 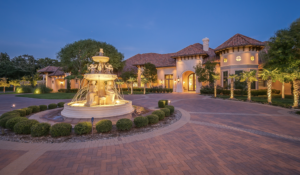 The opulent beauty that surrounds you will have you stunned each time you step outside your front door. Shoppers in Burleson can choose from a combination of national retailers from big box stores to boutiques and gift shops. If you enjoy wine, a visit Lost Oak Winery and Sunset Winery, Burleson’s two award-winning wineries, are a “must-see.” Or perhaps you enjoy art, then stop by the Russell Farm Art Center that features local artists on a century-old rural property. Whether you enjoy golf, fishing, or simply exercising in the outdoors, you have it all in Burleson. Sports enthusiasts can golf at Hidden Creek or Southern Oaks golf courses. 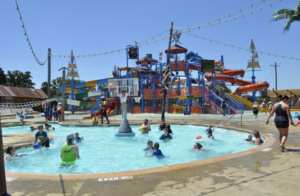 The whole family will enjoy checking out Pirate’s Cove Water Park. Burleson has acres of parks, including several bike paths and many designated bike lanes throughout the city. So if you are a biking enthusiast, every May, the Burleson Honey Tour Bike Ride draws bicyclists to Burleson for routes ranging from 7 to 65 miles. You really have to see it to believe it. Now the decision is easy… Burleson should be your home. 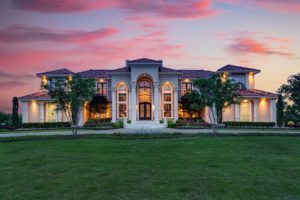 If you need help finding the perfect luxury home, then Supreme Auctions has the property for you. 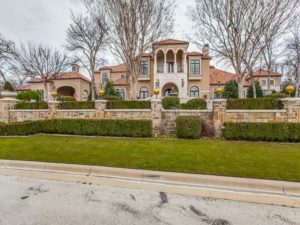 Nestled on 2.7 private and gated acres in Burleson is Casa Incantata. This Mediterranean inspired property features four bedrooms, four full and 2 half baths throughout its meticulously maintained home. The picturesque backyard will make you feel that you stepped into a resort with its Italian fountains, free form salt water pool, patios and outdoor entertaining spaces including a guest casita/cabana. Set in the private countryside amongst lush landscaping, this majestic estate provides Tuscan elegance throughout. Casa Incantata will be offered at a luxury no-reserve auction on June 30, 2018, with Supreme Auctions. To learn more, contact Supreme Auctions at (866) 929-2243 or visit SupremeAuctions.com. 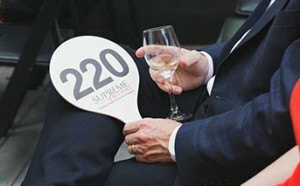 Supreme Auctions® provides an alternative accelerated program to sell luxury real estate by utilizing a live auction event. Our luxury real estate auctions are a transparent process; this approach to buying and selling luxury homes enhances rather than competes with the existing traditional luxury real estate industry. 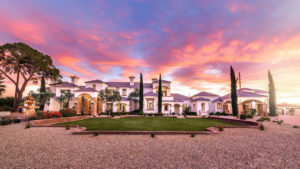 By working together with luxury real estate brokers and connecting sellers with qualified buyers Supreme Auctions® provide elite, dynamic services and approaches to a demanding market. Services that create a sense of urgency for Buyers to take action, resulting in eliminating holding costs for Sellers, creating a win-win for brokers and their clients.